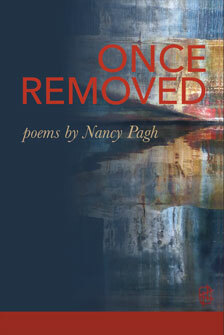 Nancy Pagh | Poet. Performer. Educator. Nancy Pagh is a poet, performer, and educator living in Bellingham, WA. She is the author of three collections of poetry (Once Removed, No Sweeter Fat, and After), a textbook for creative writers (Write Moves: A Creative Writing Guide & Anthology), and one book of nonfiction (At Home Afloat). She teaches in the Department of English at Western Washington University . Born and raised in Anacortes, WA, Nancy burst on to the literary scene at age twelve with the publication of her poem “Is a Clam Clammy, Or Is It Just Wet?” in a local boating magazine. This placed her firmly in the Northwest School of poets from an early age. 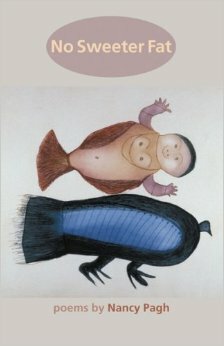 Her adult poems are still saturated in the tactile, sensual, and natural world—in them you will find the salal, the rain, the butter clam and cedar readily enough. But, grounded in the body and the body’s relationship with the world, her poems seek wider significance and understanding. Nancy’s poems appear in many print and online journals, among them Prairie Schooner, Poetry Northwest, Rattle, RHINO 2014, The Bellingham Review, Crab Creek Review, Canadian Literature, Conversations across Borders, CuiZine, Grain, Valparaiso Poetry Review, and O: The Oprah Magazine. She has written nonfiction for a range of publications, including Alaska Fish & Game Magazine, B.C. Studies, Canadian Literature, Frontiers, Mosaic, New Currents in Teaching and Learning, Oregon Historical Quarterly, and The Working Poet. Nancy is an enthusiastic and nuanced performer and public speaker, having given more than a hundred public readings, lectures, and workshops at local venues and at sites as diverse as the Gist Street Masters Reading Series (Pittsburgh), the Skagit River Poetry Festival (LaConner), the Taos Summer Writers Conference, the Vancouver Public Library Cross-Pollination Series, Chatham University, NPR radio, and the PLU Movement & Wellness Education program. Contact Nancy if you would like her to visit your book club or perform at an event. See Contact for additional information about the art featured on this page.